The I-5 is a critical pathway along the west coast for trade, tourism, and migration, and functions as part of the infrastructure bundle that parallels it - supporting symmetrical movements of water, oil, and gas. Running along the San Joaquin Valley's west side, the I-5 is also vital for intermodal shipping, intensive ranching, farming and dairying, new housing development, waste dumping and the gas and oil industry. And Interstate-5 is an "Intermodal Corridor of Economic Significance" - a category of freeway "corridors that are most essential to the California economy in terms of national and international trade," as defined by California Streets and Highways Code, Division 3, Chapter 4.7. As California's major north-south highway connecting the state's urban hubs - San Francisco and Los Angeles - the 5 is usually driven at high speed. The few sites that hint at the pollution - the Covanta Incinerator, a menacing black cube topped with smokestacks and surrounded by 30-foot-high perimeter fence, or the visual and olfactory shock of the high-density feedlot just north of Coalinga - stand out like exclamation points. But as much of the pollution is transient, many of the tour's sites are fugitive. And the movement of traffic along the I-5 itself creates a river of moving air, where sprayed pesticides mix with diesel emissions, creating a moving stream dense with small particulate matter. Invisible-5 travels the invisible toxic landscape of the I-5 corridor, of pesticide drift, hazardous waste dumping and incineration, groundwater contamination, oil extraction, and large-scale dairying. Invisible-5 tells the stories of communities tied together by the geopolitics of the I-5 corridor, and by their struggles for environmental justice along the route of California's major North-South highway. The communities in the San Joaquin Valley along the I-5 are often hidden just out of sight of the freeway, where easy truck access moves toxic waste to landfills through small towns like Patterson, Kettleman City, or Buttonwillow. In the areas around San Francisco and Los Angeles, communities sit directly under or adjacent to the I-5, with homes, playgrounds, and schools just yards from the freeway. Invisible-5 examines the historic reasons why polluting industries and businesses are often sited near poor, rural and inner-city communities of color in California, through the oral histories of people fighting for environmental justice along the I-5. 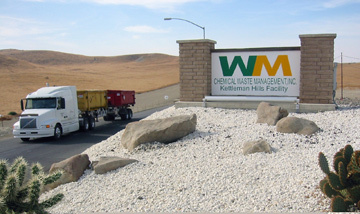 Kettleman City has two invisible sites - the underground site of one of the largest hazardous waste landfills in the west, and the former intended site of a giant hazardous waste incinerator that was never built. 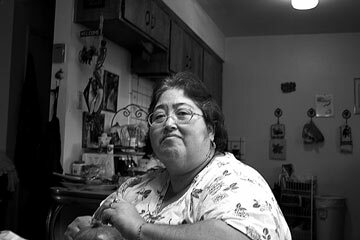 In 1993, plans for the incinerator were stopped by Kettleman City residents, who successfully organized against Chemical Waste Management, in a major environmental justice victory. The story of the struggle for environmental justice in Kettleman City is told in the tour by Mary Lou Mares, a former resident of the predominantly Spanish-speaking, migrant-farmworker community. Her story, and those of other activists, historians, fenceline neighbors, farmers, and lawyers overlap through Invisible-5's twenty-plus sites. Download either SOUTHBOUND or NORTHBOUND to get all the audio files. and all stop information from the website to accompany the audio on your drive. The Grayson Neighborhood Council works on environmental justice struggles in the westside Stanislaus communities of Grayson, Westley and Vernalis. The Center on Race, Poverty & the Environment is a national environmental justice legal organization with offices in San Francisco and Delano, California. We provide legal and technical assistance to grassroots groups in low-income communities and communities of color fighting environmental hazards. We enable community members to take control of their water resources by participating in water policy, planning and decisions. Tri-County Watchdogs is an unincorporated non-profit organization dealing with community and environmental issues of the mountain communities (Gorman, Neenach, Lebec, Frazier Park, Lake of the Woods, Pinion Pines, Cuddy Valley, Pine Mountain Club). Working for peace, health, and the environment. FoLAR's mission is to protect and restore the natural and historic heritage of the Los Angeles River and its riparian habitat. The Madres work to promote the environmental, political, and educational awareness, advancement, and well-being of the Latino population within (but not limited to) the East Los Angeles community. 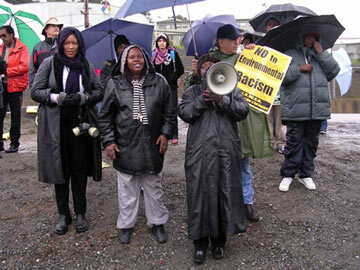 Environmental Health and Justice for California's Urban Communities.